Husky Energy reported that its Sunrise SAGD facility averaged 38,300 bbl/day (gross) in the second quarter, an increase of 2,500 bbl/day from Q1. Steaming has begun on 14 previously drilled well pairs, with first oil expected by year end. Production will continue to ramp-up through the end of this year, bringing the full year average within a range of 40,000 to 44,000 bbl/day (gross). The company also says it is still mulling a 30,000 bbl/day expansion of its Lloydminster asphalt refinery, with a final investment decision expected sometime in 2018. The Sturgeon Refinery in Redwater has started up its utility steam boilers this week and is expected to begin blowing steam lines over the next few months. The 50,000 bbl/day facility is expected to begin processing bitumen before the end of this year. Palaeontologists at Syncrude have unearthed several fossils at the Aurora Clean Water Return project, including marine reptiles and invertebrate specimens. The fossils were discovered in the Clearwater Formation, which makes them about 100 to 110 million years old. Once fully excavated, the specimens will be catalogued and submitted to the Royal Tyrell Museum in Drumheller, AB. Oil sands deposits were formed from the decomposition of algae and marine life from water bodies that covered much of Western Canada several hundred million years ago. There have been 11 major fossil discoveries at Syncrude since 1994. Canada Mortgage and Housing Corporation (CMHC) has revised their expectations for rebuilding efforts in Fort McMurray, noting that the region has managed to attract more construction workers than anticipated, speeding up new home construction. CMHC now expects 1,000 units to be rebuilt by the end of this year, up from a previous estimate of 600. New home prices rose to $435,000 in Q2 while the vacancy rate declined from 30% in 2015 to 18% post-fire and now 10% due to rebuilding efforts. Almost 2,600 homes were destroyed in last year wildfires. According to Statistics Canada, 72,000 Albertans collected Employment Insurance (EI) benefits in May, a drop of 7.2% from the previous month and 33% less than the highs of July 2016. Over the past 12 months, the number of EI recipients has declined over 11%, led by big declines in the Wood Buffalo region. However, ATB points out that the number of beneficiaries are falling faster than the number of unemployed, suggesting that EI benefits may have simply expired for some. Only 37% of unemployed Albertans received EI benefits in May. On a more positive note, job vacancies in the province are up over 9% y/y, the first increase since Q1/2015. Attendance at this year's Calgary Stampede topped 1.2 million, much better than last year's dismal performance and slightly better than 2015 figures. Attendance was helped by good weather and aggressive pricing promotions but remains 10% lower than 2014 figures and far below record attendance of over 1.4 million set in 2012 during the event's 100th anniversary. Encana says it is well ahead of its five-year plan, increasing full year guidance on production and lowering estimates for operating costs. Higher output helped the company report blow-out second quarter results this week, as earnings rose to $331 million, up from a $601 million loss the previous year. Production growth out of its core assets, which includes the Montney, Duvernay, Eagle Ford and Permian basins, is now expected to increase by 25-30% by the end of this year. Encana also say it expects to sell more non-core assets, shifting its portfolio to more liquids-weighted and lowering operating costs. A Federal Court of Appeal has ruled that the National Energy Board (NEB) must reconsider whether TransCanada's Prince Rupert Gas Transmission Project falls under federal or provincial jurisdiction. The 900 km natural gas line runs from Hudson's Hope, BC to the site of Pacific NorthWest LNG's facility on Lelu Island, all within BC's borders. The province approved the project under the assumption that a federal review was not required. However, lawyers for an anti-development advocacy group argued that the natural gas is destined for export, which makes it federal jurisdiction. TransCanada had planned to commence construction once a positive FID was received on the LNG plant. Canada's premiers gathered in Edmonton this week to talk jobs, free trade and economic growth. Among the items discussed was the reworking of how environmental assessments are executed in Canada. The premiers are calling on the federal Liberals to avoid any "unnecessary duplication or delays in the responsible development of Canada’s natural resources." Newly minted BC Premier John Horgan did not attend the session due to scheduling conflicts. Next year's meeting of Canadian Premiers will be held in St. Andrews, NB. The National Energy Board (NEB) says Canada is a "late entrant" to the global LNG market, facing lower prices and fierce competition. 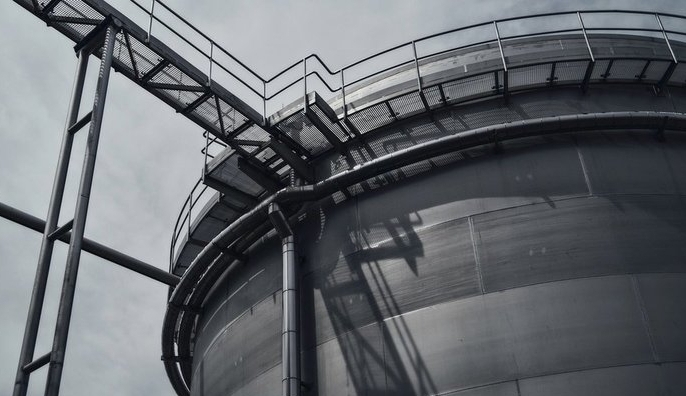 Although demand for LNG is growing globally, much of that demand will be absorbed by projects already under construction in Australia and the US. NEB has approved 35 LNG export licences since 2010. The Woodfibre LNG facility near Squamish, BC is so far the only project to have received a positive final investment decision. Ontario's environment minister is criticizing California for allowing big emitters to stockpile carbon permits indefinitely. The Western Climate Initiative cap-and-trade scheme, which includes California, Quebec and now Ontario, allows the government to "temporarily" give free carbon permits to big emitters, particularly those industries that are perceived as a flight risk. Quebec has committed to reduce the number of free permits by 1-2%/year in order to give corporations time to adjust. Ontario would like to see all unused permits expire at a fixed date. Earlier this week, California lawmakers approved extending the cap-and-trade program expiry data from 2020 to 2030. Energy Transfer Partners has pushed back the start date for its Rover natural gas pipeline that runs from the Marcellus and Utica shale fields in Pennsylvania to customers in Ohio, Michigan and the Gas Dawn Hub in Ontario. Construction of the pipeline was halted after ETP spilled almost 50,000 barrels of drilling fluids into an Ohio wetland. Phase 1 start-up has been pushed back to the end of this summer, with the entire network now expected to be ready by November. The US$4.2 billion 713 mile (1,150 km) project is currently the largest gas pipeline under construction in the US, with an anticipated capacity of 3.25 bcf/day. A subsidiary of Williams Partners has filed an application with the Federal Energy Regulatory Commission (FERC) for approval of its North Seattle Lateral Upgrade project in the state of Washington. The company says it already has firm agreements in place with Puget Sound Energy to expand its natural gas distribution network. If all approvals are received on time, the system could be placed into service by the end of 2019. Plains All America has wrapped up a successful open season for expansion of its Sunrise Pipeline system, which will add another 120,000 bbl/day of capacity from the Delaware Basin and Midland to the Cushing storage hub in Oklahoma. Subject to regulatory approvals, the line should be in service by the middle 2019. The US House of Representatives has passed a bill that would require the Federal Energy Regulatory Commission (FERC) to act on cross-border applications within 120 days of completing its environmental review, or 30 days on imports of natural gas to and from Canada and Mexico. The bill still requires approval by the Senate. The US Treasury Department has fined ExxonMobil US$2 million for violating Russian sanctions imposed by the Obama Administration in May 2014. Exxon allegedly signed eight documents during the month of May with Rosneft President Igor Sechin. Exxon denies any wrongdoing, noting that the sanctions banned personal dealings with Russian officials but made allowances for oil and gas business activities. The company has launched a legal challenge against the ruling. Sempra Energy's Aliso Canyon natural gas storage field in southern California has been cleared to resume injections this week after a gas leak shut-in operations almost two years ago. Sempra's subsidiary SoCalGas has implemented several safety improvements at the injection site, including 24-hour monitoring, daily visual inspection and enhanced training for employees and contractors. Outage of the storage facility has made natural gas prices on the West Coast far more volatile, especially during hot days when demand for power spikes. The Aliso Canyon blow-out was the largest in US history, spewing an estimated 97,000 tonnes of methane into the atmosphere over a 4-month period. California Governor Jerry Brown would like to see the facility fully closed within 10 years. LyondellBasell announced plans to build the world's largest propylene oxide (PO) and tertiary butyl alcohol (TBA) plant in the Houston area, at an estimated capital cost of US$2.4 billion. Once in operation, the plant will produce 1 billion pounds of PO and 2.2 billion pounds of TBA annually, used for general consumer products and additives for high-octane gasoline. This is the largest single capital investment in the company's history. US natural gas producers are not feeling the love from the current US Administration, who have repeatedly professed their support for coal and nuclear power. The American Petroleum Institute (who also represents the natural gas industry) released a report this week that concludes a diverse basket of energy supply would produce the most reliable power grid, and discourages the government from picking winners and losers. According to the Wall Street Journal, Houston-based private-equity firm EnerVest is about to file for bankruptcy after having wiped out nearly US$2 billion in assets. EnerVest borrowed heavily in 2013 to buy up oil and gas assets, whose values have since plummeted along with oil prices. The funds lenders, led by Wells Fargo, are allegedly trying to get control of the company's assets. Media outlet The Times is reporting that Texas-based Jacobs Engineering is in advanced talks to buy Colorado-based CH2M (formerly CH2MHill). Last year, CH2M's board said they were evaluating either an IPO or outright sale of the company. Credit Suisse says the deal would be significant for Jacobs, allowing it to move its business more towards consultancy and less reliant on EPC work. Analysts at Baird Equity are much less optimistic, noting that large scale M&A in the engineering space has failed to create value for shareholders. CH2M is an employee owned business with operations around the world, including a significant presence in the Canadian oil and gas sector, focused mainly in the environmental space. Increases in rig counts appears to be slowing in the US, as Baker Hughes reported one less rig in service this week in the oil patch. In Canada, 12 new oil rigs were added this week, bring the total to 118, while the number of gas rigs rose by 3 to 88. Oil prices rose earlier in the week on a rather positive inventory report but later declined after Petro-Logistics reported that OPEC output this month will be the highest since last December, likely topping 33 million bbl/day in July. Total, BP, Germany's Wintershall, and state-run YPF announced plans to invest US$1.15 billion to develop Argentina's Vaca Muerta shale gas formation. The deal will double gas production from the region to 4.5 million cubic meters per day. The development is part of the government's plan to reduce reliance on natural gas imports, which has put a strain on public finances. Last March, Argentina's Tecpetrol committed to invest US$2.3 billion in the field through 2019. Vaca Muerta is estimated to contain 308 trillion cubic feet of shale gas and 16.2 billion barrels of shale oil. A small group of Greenpeace activists moved their (diesel powered) Arctic Sunrise icebreaker into the Barents Sea to protest Statoil's Songo exploration platform 275 km nouth of the Norwegian coast. The protestors would like to see all remaining oil and gas reserves remain in the ground and has launched a legal challenge against Norway's next round of bids for exploration licenses. Norway would like to open up exploration in the north to offset declining production in the south. Oil and gas production accounts for 20% of the country's economy. ExxonMobil has abandoned plans to develop one of the world's largest gas fields in Indonesia after a "technology and market review" deemed the field uneconomical. The East Natuna natural gas block is believed to be one of the world's largest reserves of untapped gas, estimated to hold approximately 46 trillion cubic feet of recoverable gas. However, the field has a CO₂ content of over 70%, which adds to development costs. Malaysia's Petronas and Total also abandoned plans for development, leaving state-owned Pertamina with the task of having to find another oil major with adequate expertise and deep pockets. Refinery runs are declining in China due to weaker demand, posing a big risk to OPEC members who rely heavily on the Asian country for their crude exports. Gasoline demand growth is expected to slow to just 95,000 bbl/day in 2017, one-third the growth rate of just a few years ago. Passenger vehicle sales declined in the first half of this year, a first since 2004. Sluggish demand is being blamed on the growing use of bicycle-sharing in big cities and natural-gas fired vehicles. China recently became the world's top oil importer. Royal Dutch Shell's 60,000 bbl/day Agbada 2 flow station remains closed after oil thieves burst open a supply pipeline, forcing the company to once again declare force majeure on Bonny Light exports. About 30% of pipeline flows in the Niger Delta region is estimated to be stolen, cutting crude exports and causing widespread environmental damage. Shell estimates clean-up costs from pipeline sabotage at about US$1 billion annually. Ecuador's oil minister announced plans to increase oil production this month, making it the first OPEC member to abandon the cartel's production agreement set last November. Under the terms of OPEC's production quotas, Ecuador had committed to reduce output by 26,000 bbl/day to 522,000 bbl/day. The country says it is too small to have any meaningful impact on total OPEC output. Ecuador is OPEC's third smallest member. Unnamed sources are spreading rumours that Saudi Arabia is considering cutting its exports by another 1 million bbl/day to offset rising production form Nigeria and Libya. The UAE's energy minister says he remains hopeful that oil prices will improve in the second half of next year when rising demand overtakes tightening supply. OPEC and Russia will officially meet next week in St. Petersburg, Russia. However, more aggressive cuts are not expected to be announced.